In this sweet and sad life things never go the way you want them to. Plans and aspirations often take a road least expected and a change in direction often leads to the unexpected. This is the ying and yang of life – the light and dark – the good and not so good. You could say these are trite thoughts, more of those interminable clichés so prevalent in today’s social media. But, they are truths so real, so prevalent that their reality can be a drain on your dreams. Alice probably never thought of her life this way. I imagine she simply wanted to endure her simple existence and survive as best as possible. We found evidence of that in a battered old cream-coloured ‘valise’. (Valise was the word she used for her small suitcase.) 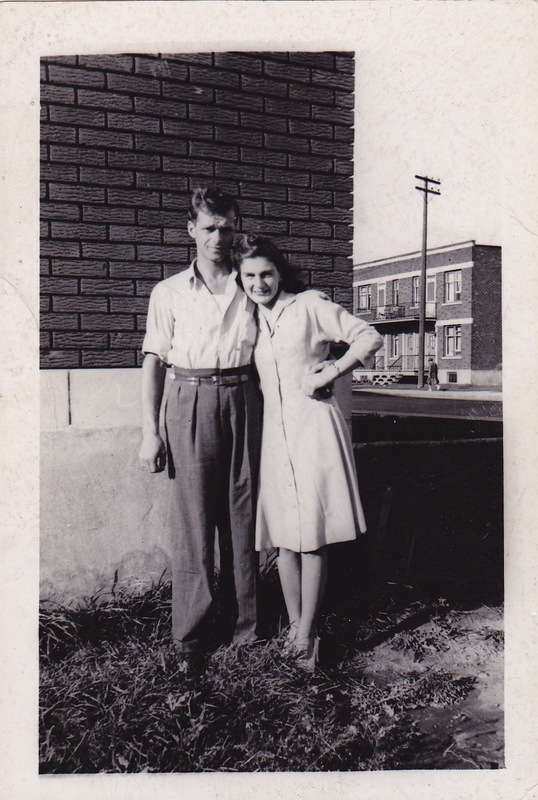 Family photos, post cards, trinkets, treasures, legion flags, remnants and reminders of the war sent to her by her husband – all those things she held dear but had now forgotten were in there. The significant signposts of her life we found in a square gun-metal-grey lockbox. She didn’t know where the key was at first but she knew that her important papers and documents were safe and secure even though they were long past any relevance or use to her today. This is where she kept her past – her memories. They are remnants of a life lived and loved ones lost. Today those moments come and go, each one struggling for a place of prominence in her mind. Recollections of her young life come rushing through intruding unexpectedly, transforming the past into the present and the present into confusion.